For the past 30 years, Robyn Panaccione has worked as a travel advisor, specializing in corporate travel for media and advertising. Before joining CIRE as our corporate and entertainment travel manager, Robyn worked most recently for Condé Nast for 18 years where she managed celebrity and entertainment travel for Vanity Fair Oscar parties, GQ’s Men of the Year awards, Glamour’s Women of the Year summit, Golf Digest Masters’ events, Bon Appetit’s Vegas Uncork’d, Vogue magazine cover shoots and the Met Gala, to name a few. Robyn has managed itineraries for hundreds of photo shoots, which require arranging travel for models, photographers, makeup artists and crew, along with their wardrobe, trunks and camera gear. Once she booked a cover shoot for Vanity Fair where the subject of the shoot was kept anonymous. Little did she know she would play a part in one of the most iconic magazine covers in recent years, Caitlyn Jenner’s surprise reveal. Booking flights and accommodations is only part of the extremely detail-oriented work that goes into this level of travel planning. The other part is building and strengthening the types of industry connections that open doors to VIP treatment. When you need a last-minute reservation or cancellation, travelers need a consummate professional like Robyn. If you’ve ever had to cancel a hotel reservation in Manhattan during the holiday season, then you know the inconvenience of the cancellation fee. With Robyn managing your itinerary, the odds are in your favor of her getting that fee waived because of her industry reputation and elite connections. Robyn also works with high-profile celebrities, who trust and appreciate that she handles their travel arrangements with the utmost discretion. One of her favorite projects was working with celebrity photographer, Annie Leibovitz, arranging her travel, as well as for a few other names that you might recognize for a Vanity Fair photo shoot. Since this particular holiday issue hit the newsstands a few years ago, she’s able to name-drop a few of the cover’s celebrities: Paltrow, Aniston, Dunst, Hayek and others. Not only does Robyn bring the travel connections, she also delivers when it comes to recommendations for traveling well. She offers firsthand knowledge on destinations, including Italy (her second favorite place in the world), Israel, Greece, China, Mexico and others. Anguilla will always hold a special place in her heart as she was married there. 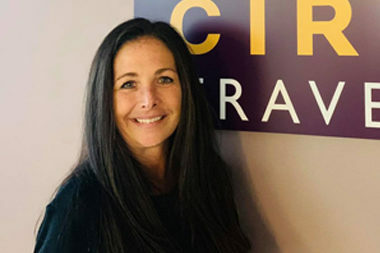 Robyn is passionate about travel and about client service and looks forward to giving CIRE Travel’s corporate and entertainment clients the elite treatment and accommodations they desire.